So I gave it a whirl, or at least part of a whirl, and the shirt ended up being too big. As I sewed, I felt that the shirt would be too small. Almost the next moment, it would grow to a huge size and then back to my UW-Platteville size. The placket went together perfectly. Well, almost. There were no puckers and the top stitching was top notch! Somehow I made it one placket width off center though. Oh well, it is a busy print, and the front is pleated. (Another note to self: vertical pleats are not good for me.) Then I went on to put the collar on. It was too small, either from the same error that caused the placket problem, poor cutting, or both. I was about to make a new collar and put it on (because this would be the right time to do so; easier than doing it with sleeves and sides seams in place) but then the size kept growing and shrinking in front of me. I added the sleeves and side seams (no puckers or gaps, thank you very much) and tried the shirt on. It’s at least a size too big. I guess that is better than a tiny shirt, but only for my ego. I’m done with this shirt. I’m not too discouraged, but my next projects will be adapting a couple of pairs of pants from the thrift store. I should try this shirt thing again before another 25 years pass and I don’t remember my mistakes. Just in case I don’t get back to it before my memory fails me, I’ve made a few notes for myself below. 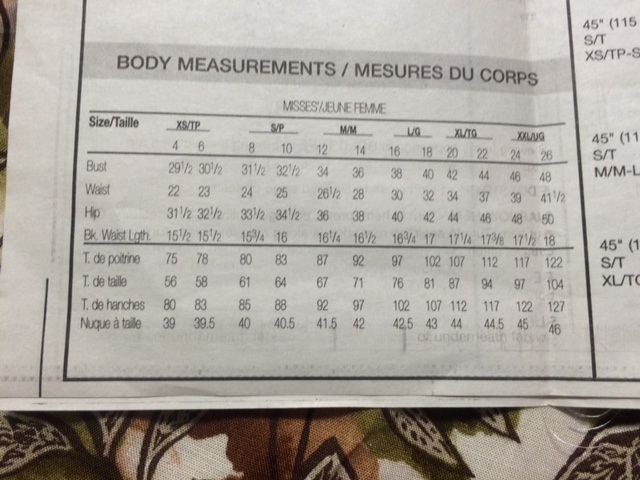 Next time I will compare the measurements on a shirt that fits me well to the pattern before cutting it out. 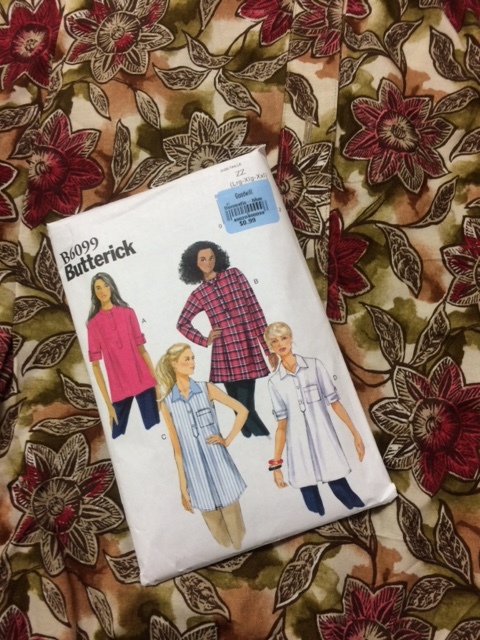 My body measurements did match the XL size on the B6099 Butterick pattern, but the shirt didn’t fit me. I was careful with the seam allowances. Note the Easy designation. Read the directions carefully anyway. It may help get the placket on center! 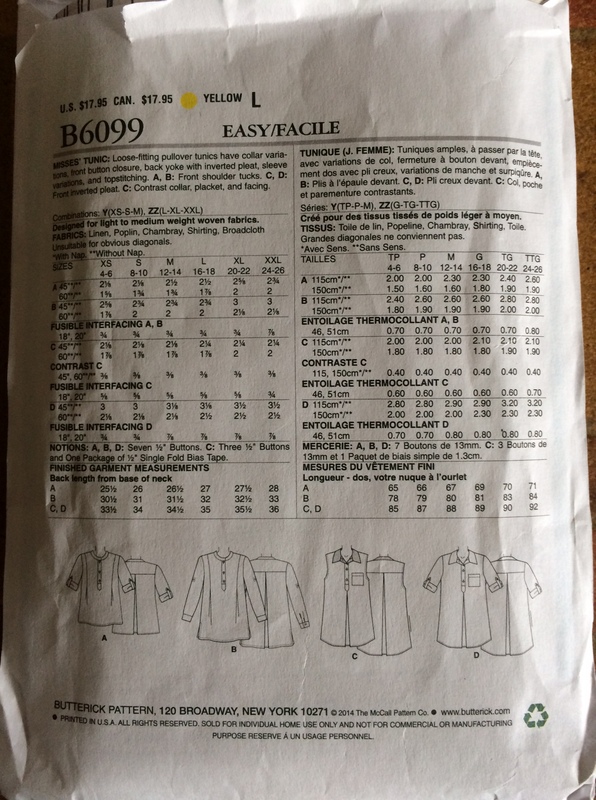 This entry was posted in sewing, Uncategorized. Its amazing what I’ve forgotten. Honestly, I used to sew men’s corduroy pants perfectly. Now I can barely mend. It is a bit shocking, isn’t it? Practice only makes perfect when it is done on a regular basis! Hi Sue, good for you in your garment sewing project. As soon as I retired from the library, I sewed my first tunic top. I was definitely rusty in my sewing skills…..haven’t really sewn clothing since my 20’s! I’m going to try sewing more this coming winter, plus work on some quilting projects. I do love that fabric by the way. Take care. On hot days I retire to the basement where my sewing machine is set up. It’s been a long time since I’ve had a designated sewing area, which makes it easier to get projects started. Even if they aren’t finished! Susie, That is a very cute pattern, I think you should give it another try. I’m certain someone would love to find this one at the thrift store if you are too unhappy with the way it has turned out. Whatever gave you the idea to sew your own blouse? The fabric (found at some thrift venue) was rayon and seemed perfect for a shirt. I gave the started shirt and pattern to a friend who will try fix it for herself. I’ve got ideas for the next try already.